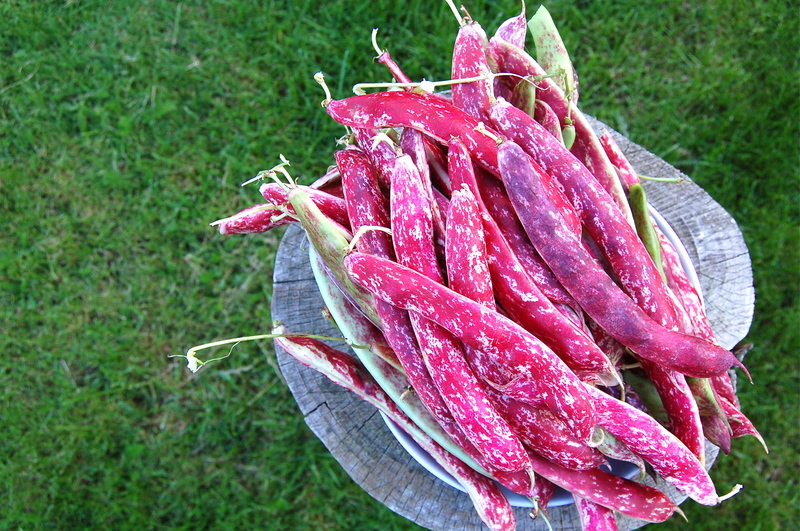 We have already picked and eaten some of our Barlotti Beans fresh but my main plan was to dry them for use over Winter. 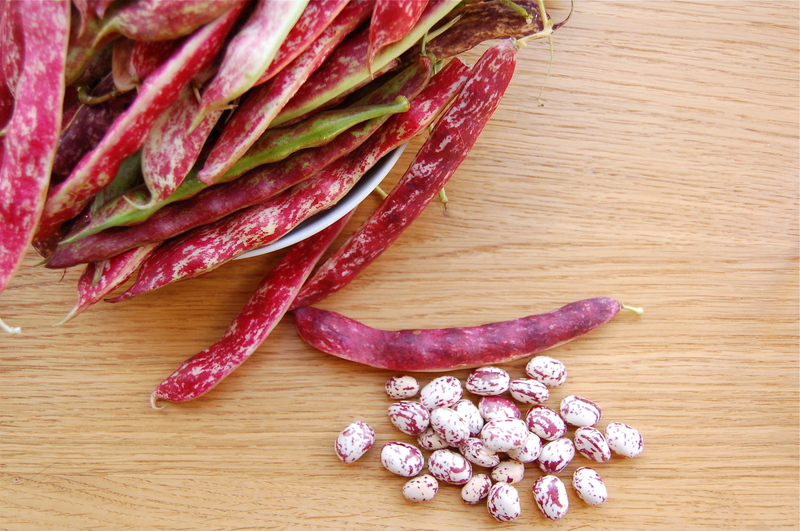 Having checked many methods, I understand that picking the beans (when they turn white from green) and drying them in their pods in a bright sunny position is best. Then remove the beans and dry some more. As we are lucky here in the South with our weather, I have left them as long as possible outside, hoping to dry some naturally whilst on the stalk, but we are starting to have a few cold mornings so I figured it’s time to bring them in. I lifted the stalks whole, cut off at ground level (leaving the nitrogen rich roots which will break down over Winter and work as a fertilizer) and have put the lot in the greenhouse, partly because I’d covered the growing seedlings in bird-proof netting early on and this is now intertwined with the plants. It will be interesting to see if this method works, hopefully the mice wont find a way into the greenhouse or I’m afraid there might not be a lot left!